The Workshop is proud and honoured to help host Fundraising Crops for many deserving people and organizations, such as charitable groups, Cancer walks, school trips and more. Whether they are single day events, or weekend extravaganzas, they are always a lot of fun! Read below for some of the Fundraising Crops that are coming up soon. To register, please contact the person listed with each event. Would you like to book your own Fundraising Crop? Contact me for more information and availability. 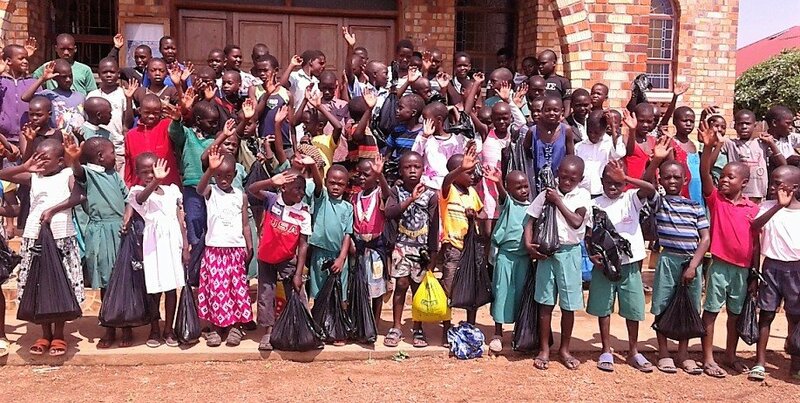 Help Sandy support St. Jude's School in Uganda again this year. St. Jude's School is a cause near and dear to Sandy's heart, and one she has supported for many years. Her contact, Father Peter Paul cares so deeply for his community, and works hard to make sure the funds raised go far. The money sent at Christmas not only helped orphaned children that we support at the school, but every child at St. Judes School. Father Peter Paul purchased in large bags of rice, then separated it into smaller bags, so that each child at the school would go home with one or two bags for their family. In addition, enough money was raise last year to purchase that luxury item for all of our families...soap. Each family was given two sleeves of soap. This soap is used for everything, laundry, dishes, body, hair, even as a pesticide for their gardens, yet it's considered a luxury. Sandy's all day crop will have raffles, prizes and scrapbooking kits to purchase, all to raise money for this worthy cause. Come out for a day of crafting and laughter, and help the kids of St. Jude's. Cricut machines and cartridges available to borrow. Please bring your own mat.